Sudden Wealth helped defray Brett Howard’s travelling expenses to the Keeneland November Sale with a potent kick at Morphettville on Saturday. The Time Thief mare flew home from second-last on the corner to win the Zonte’s Z Force Hcp (1200m) by more than a length eased down. She even had enough in reserve to swerve across and give runner-up Vivaldi’s Quest a hip-and-shoulder at the furlong. Howard’s Randwick Bloodstock Agency (FBAA) bought Sudden Wealth for $28,000 at the Inglis Sydney Broodmare Sale in April. She was purchased in association with Rushton Park’s David & Kayley Johnson a week after winning a Kembla Grange maiden for Paul Murray. The new partnership has banked over $70,000 since the sale and the pedigree is also improving with her half-sister’s first foal Lycurgus (Star Witness) ready to win again after recent placings at Caulfield and Rosehill. Howard returned to the Keeneland November Sale for the first time since 2014 when his buys included Guapa (Rock Hard Ten). An unraced 3yo daughter of G2 La Prevoyante Stakes winner Last Approach, she sold for a mere $7,000. 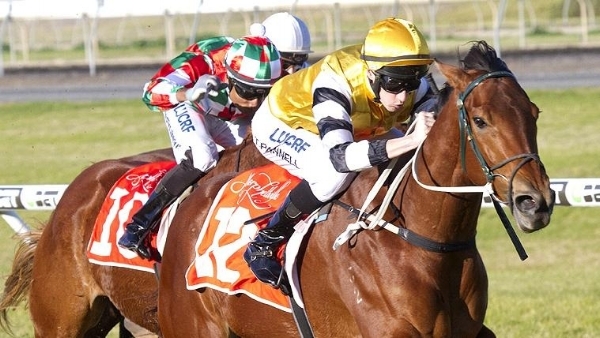 Shipped to Australia, Guapa was mated with Deep Field and produced a filly that was purchased by Sheamus Mills Bloodstock (FBAA) for $110,000 at this year’s Magic Millions National Foal Sale. A few days later, Guapa was on-sold to Rosemount Stud at the National Broodmare Sale, in foal to Hinchinbrook, for $150,000. Even after factoring in the air freight of approximately $22,000 there’s value to be found on all levels of the market at Keeneland and Howard is hoping for a similar outcome after buying My Dinah Lee last Thursday. My Dinah Lee (Discreetly Mine) cost just $10,000. The 4yo filly is from a sister to G3 Natalma Stakes winner Fortuitous (Dynaformer) and she won at Gulfstream Park after a stakes placing at Laurel.